Alex Cobb is Box-Toppers top player in the Rays American League Wild Card Game win Wednesday over the Indians. Cobb pitched 6 2/3 scoreless innings in the 4-0 win to earn Player of the Day honors in the only game played Wednesday. The Rays, by winning the one-game playoff, now face the Red Sox in the best-of-five AL Divisional Series beginning Friday in Boston. 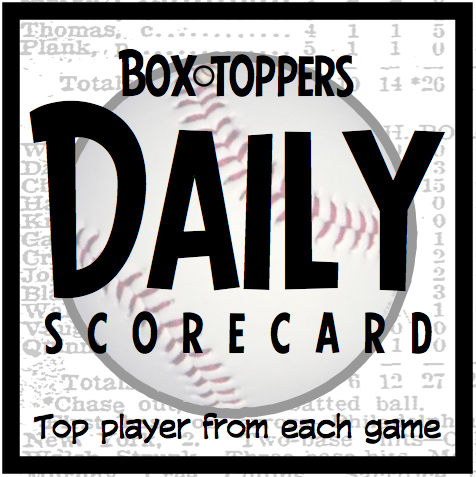 Cobb finished 58th in Box-Toppers player rankings for the season with 9.7 Box-Toppers points. No Box-Toppers points are awarded during the postseason.